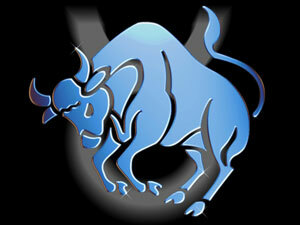 Taurus is the mark of practicality and they love leading a life full of luxury and comfort. They have a niche for quality food and a great life on any account. You could m ake them happy by reaching their stomach and get them into your confidence by gifting them very nominal gift items of their choices. You need to take considerable time before selecting for what would be best for the one you are choosing your gift for, and for that you need to know that person very well beforehand. While choosing the gift for a person who is Taurus, you need to be very careful about their likes and dislikes and also take into account of their personality and caliber. People who have Taurus as their sun sign are mainly very practical in nature and they want things to happen in smoother ways as possible. They also love to wine and dine with luxury aspects added to them. A soothing music makes them feel even better while having a luxury dinner outing. They are also very good at their vocal and since love quality music as well. So before coming to any sorts of conclusion you must think twice, as gifting Taurus a worthless gift would not at all make them pleased. You don’t always have to spend more money on useless expensive gifts, but a mere chocolate cake baked in a nearby bakery could do the trick for you. Reading all this could make you feel puzzled and you might ask for further help. Hence through these few points you would come to know about the things you could consider gifting Taurus. As comfort makes the best bait for Taurus, you could go for products and commodities that are way too comfortable and relaxing for them. This could let them make more cozy and relaxed. A soft pillow or cashmere blanket could be a very good option to begin with. If a Taurus in interested in collecting things, which many of them are, then you could gift them some amazing art or paintings, vintage clothes or hats, collectibles and more to give rise to their collection. Food is one of the major weaknesses of Taurus. You could easily win hearts through this crucial weapon. They have a deep urge towards tasty and yummy food and thus you could gift them a well wrapped and a tasty chocolate to begin with. You could also take them up for wine experiences and could also take them to a trip of famous restaurants and food chains. Taurus and music are quite inter-related. They have a craving niche for music and they often are good singers as well. Hence you could gift them some sort of music instruments or records to make them feel happy and special. You could also find and gift some old and vintage collections to them. Concert tickets and music tours are real treats for Taurus. Through these and lot more you could actually make space for yourself in the hearts of Taurus and explore their inner nature.